Every now and then, someone leaves a great recipe in the comments section of this blog. And, I feel the need to share these recipes with you so they get their full glory and don’t remain buried, waiting to be discovered by all. 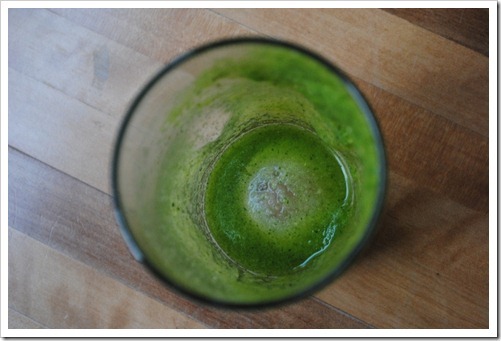 Here is a new green drink recipe for you left by reader Leanna. I can vouch that it is really, really good! I modified just a bit when writing it out, but this is her creation, so thanks very much Leanna! This drink is very high in potassium, which is important to balance out our over-salted lives, as well as vitamins A, C, and a host of minerals, including iron. And, green tea has been shown to help amp up our metabolisms a bit, so, it makes a great liquid base for this smoothie. 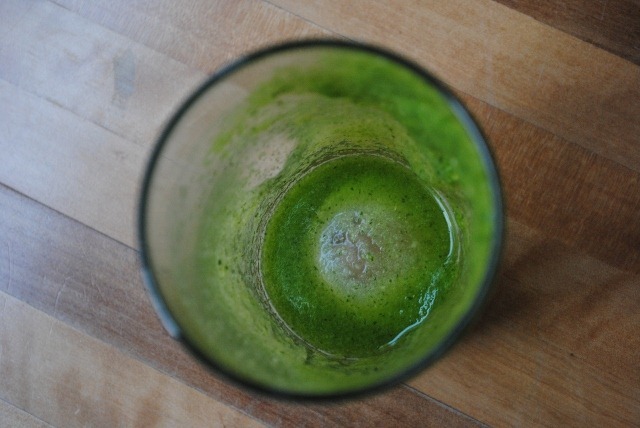 If you are into green drinks, I highly encourage you to make this one – you won’t be sorry! If you aren’t into green drinks, this drink would be an easy one to start to ease your way into the healing world of leafy greens in your smoothies. It’ll be down the hatch before you know it! Based on 1 tbsp of Herbalife Protein Powder.